Deb Calvert and Jon Ferrara bonded years ago over their commonality of a shared purpose– helping other people grow. 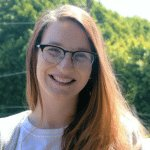 Deb is the president of People First Productivity Solutions, a sales and leadership development consulting firm that focuses on building organizational strengths by putting people first. She is also the author of Discover Questions to Get You Connected, one of the top 20 highest rated sales books of all time. Barry Posner is the professor of leadership and former dean of the Leavey School of Business at Santa Clara University. He’s an accomplished scholar, and he provides leadership workshops and seminars worldwide. He also wrote the best-selling book The Leadership Challenge that sold over 2 million copies worldwide in almost 22 languages. For about two decades, Deb has been working in Sales and Leadership Development. In her mind, these had always seemed like entirely separated fields. As she was reflecting on how certain leadership behaviors impact their followers, the two seemingly separate worlds collided. 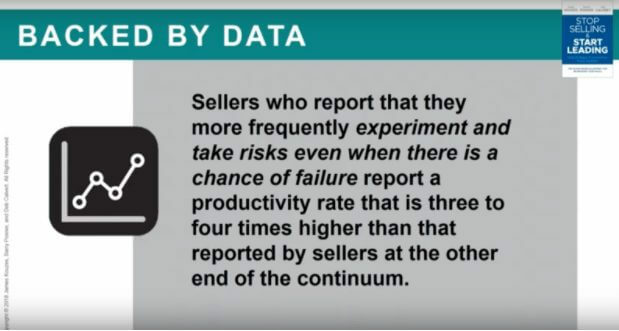 She asked herself, what would happen if sellers exhibited the behaviors that make leaders more effective? 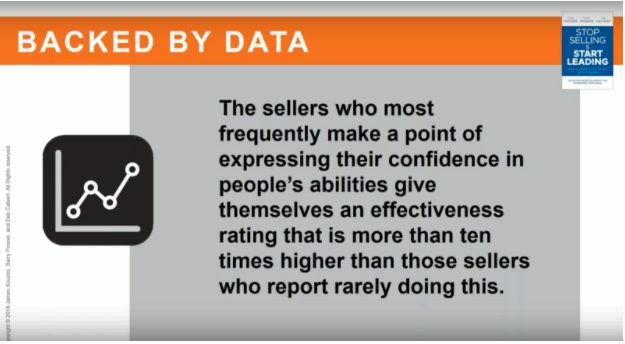 She and her colleagues soon after formed the hypothesis that buyers would be more likely to respond if sellers were behaving as leaders. 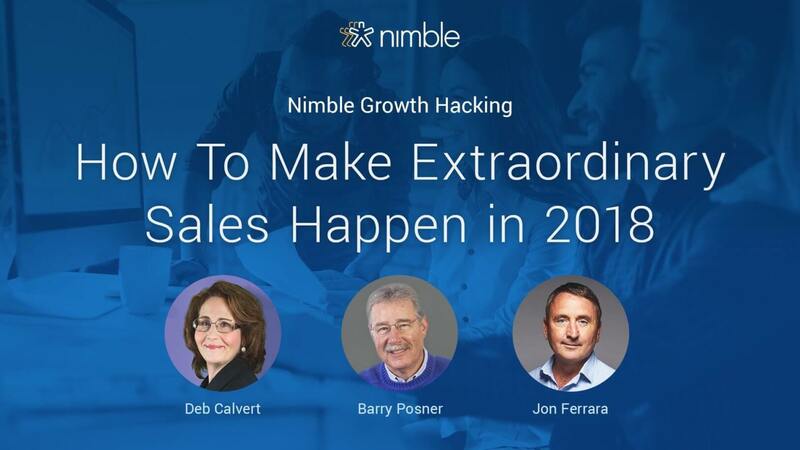 Now, Deb would like to share the five practices of exemplary leadership in order to help you make extraordinary sales happen. The mark of a strong leader is that they’ve figured out who they are and what their values are. They spend time making sure that they’re on the same page with their buyers in terms of what they think is important. Most importantly, they don’t just talk the talk; they walk the walk by setting an example. They don’t make promises that they can’t keep – they always follow up with their follow through. In order to take action in terms of modeling the way, one should work on identifying the values that should guide the choices and decisions you make. If you simply talk the talk, buyers will be skeptical of what you’re trying to sell. This involves forecasting the future by imagining exciting and ennobling possibilities, as well as enlisting others in this common vision by appealing to shared aspirations. Think about what tomorrow could look like, and how to make your vision come to life. To take action for this practice, one should try to involve others in crafting the exciting possibilities that you could bring to life together. Ask yourself, what would happen if you work together? 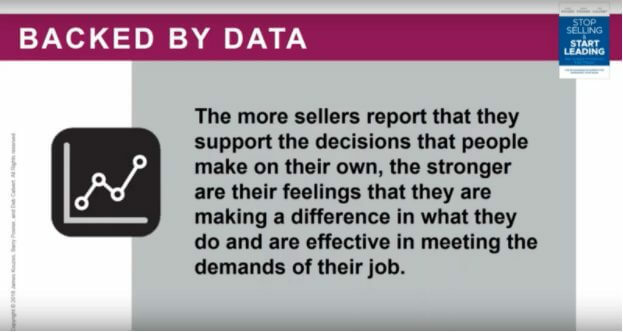 If you, the seller, worked collaboratively with the buyer, how could you both benefit? More specifically, this means seizing the initiative by looking outward for innovative ways to improve. Make sure to experiment and take risks by constantly generating small wins and learning from experience. Being willing to challenge both yourself and your buyer, and thinking about not where you are today, but where you could be in the future. In order to obtain that future, you have to be willing to experiment, innovate, and even sometimes fail. Continuously experiment with new ideas through market trials, pilot projects, A/B split testing, and proof of concept demonstrations. Challenging the process is a way for us to think about what we can do to make things happen. Build trust and facilitate stronger relationships by strengthening others to increase self-determination and develop competence. Overall, this means to giving your buyers a chance to participate in creating what they want. As you do this, you’ll inadvertently earn trust and fortify the relationship. 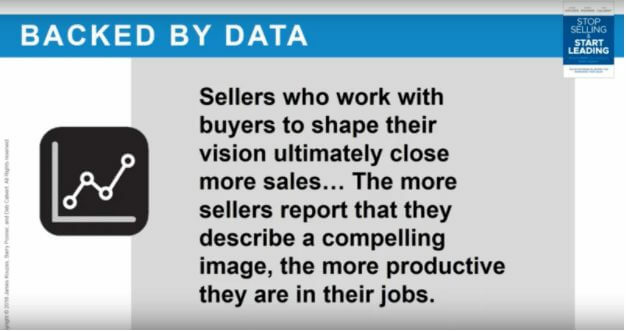 Sellers should do less for buyers, but rather do more with buyers. Make your buyers and internal partners feel powerful and in control of their circumstances. This also applies to others inside your own organization. Though this may feel counterintuitive to the service mentality that we’ve recently seen in sales, it is important to remember that today’s service ideals are based around the buyers’ experience. This experience should make them feel powerful. Look for ways to engage your buyers as active participants in creating what they want. 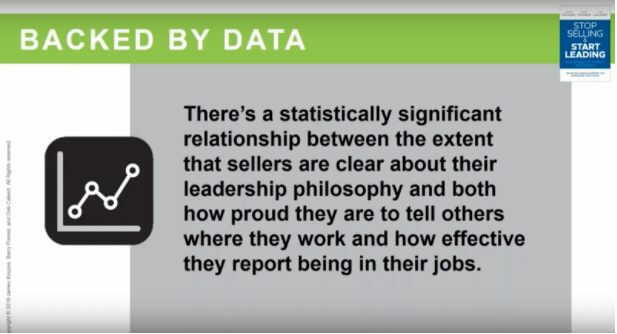 When sellers encourage the heart of their buyers, they recognize contributions by showing appreciation for individual excellence. Celebrate the values and victories towards a vision that you’re working on together, creating a spirit of community while doing so. Create an environment that makes it comfortable to receive and give personalized feedback. Remember, our ultimate aim is to create an awesome connecting experience for our buyers. As you begin to implement these practices, remember not to see them as five separate digits on your hand, but think about how these things all work together. In the end, buyers want sellers to act more like leaders. Once these behaviors are put into place, we can replace outdated, ineffective stereotypical sales conduct with authentic leadership actions.